Berry accepts the hats Simpson offered to send. 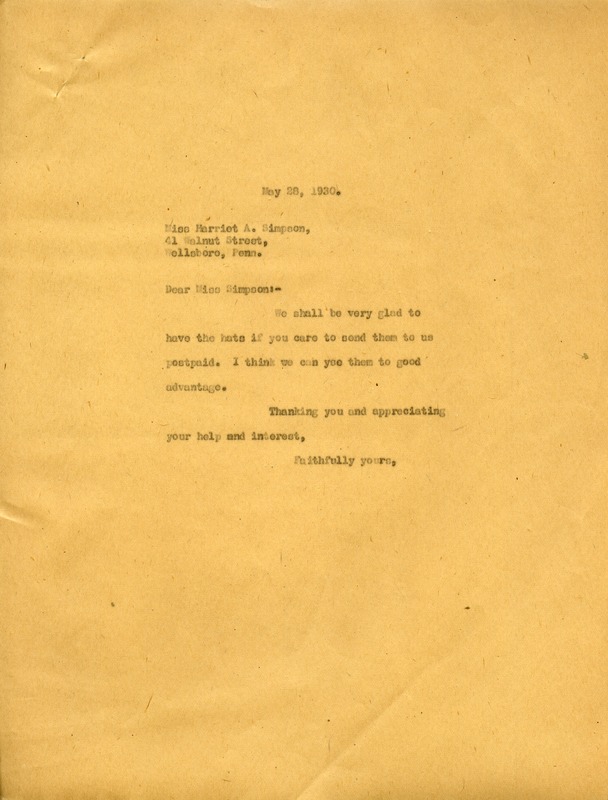 Martha Berry, “Letter to Harriet A. Simpson from Martha Berry.” Martha Berry Digital Archive. Eds. Schlitz, Stephanie A., Jordan Brannen, Sherre Harrington, Meg Ratliff, et al. Mount Berry: Berry College, 2014. accessed April 21, 2019, https://mbda.berry.edu/items/show/13904.